On March 8, 1964, Malcolm X publicly announced his break from the Nation of Islam. He said that he was still a Muslim, but he felt the Nation of Islam had "gone as far as it can" because of its rigid religious teachings. Malcolm X said he was going to organize a black nationalist organization that would try to "heighten the political consciousness" of African Americans. He also expressed his desire to work with other civil rights leaders and said that Elijah Muhammad had prevented him from doing so in the past. On March 1964, Malcolm X publicly announced his break from the Nation of Islam. He said that he was still a Muslim, but he felt the Nation of Islam had "gone as far as it can" because of its rigid religious teachings. Malcolm X founded Muslim Mosque, Inc., a religious organization, and the Organization of Afro-American Unity, a secular group that advocated black nationalism. Malcolm X made a speech titled "The Ballot or the Bullet" in which he advised African-Americans to exercise their right to vote wisely. Several Sunni Muslims encouraged Malcolm X to learn about Islam. Soon he converted to Sunni Islam, and decided to make his pilgrimage to Mecca. Another thing they said was that Malcolm was trying to take over the Nation of Islam and that he was taking credit for the things Mr. Muhammad really did. This was anything but the truth because Malcolm always mentioned "As Elijah Muhammad teaches..." in everyone of his speeches. He also worshiped and would have died for Elijah Muhammad if he had to. Over the course of the next few months, Malcolm's eye's were finally opened to the happenings behind his back due to a series of events. These events eventually led to his break away from the Nation of Islam. 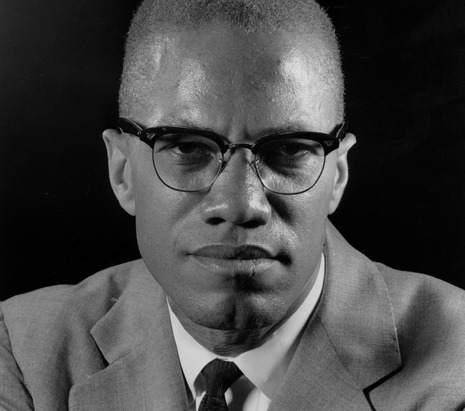 After breaking away, Malcolm announced that he was creating a new organization (Organization of Afro-American Unity (OAAU)) that didn't have the strict and harsh rules and religious sacrifices as the Nation of Islam, and which was also going to be more active. Soon after announcing this, he found out that he had a lot of support too. The creating the Organization of Afro-American Unity also made the Natio!